This is a new category devoted to Buddhist art, including that created for Buddhist ritual and meditation practice. Many places around the world are held sacred by one or more branches of Buddhism. Some are associated with events of the Buddha's life, and others are the site of historic Buddhist monasteries and art. Learn about several in this article. Buddhism has thousands of sacred and teaching texts, including sutras, tantras, koan collections and more. Here´s an overview of the major ones, including what is sometimes referred to as the ´Buddhist Dead Sea Scrolls´. 'Suttas' or 'sutras' are Buddhist scripture consisting of stories, discourses, aphorisms and poetry, most of which are considered to be based on direct oral teachings that the Buddha gave during his lifetime. 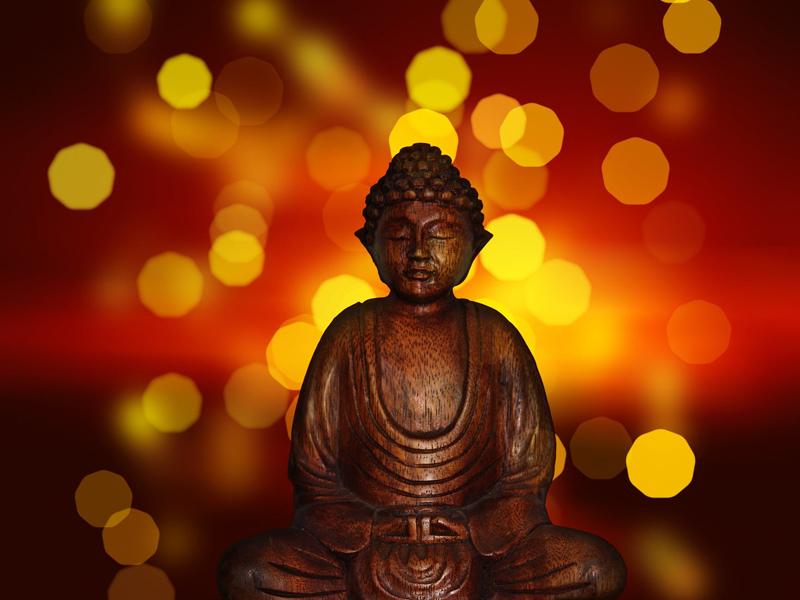 In each of the various cultures in which Buddhism has flourished, a rich set of symbols have developed to represent the Buddha and Buddhist teachings. View and discover the meanings of several in this article, including the Lotus Flower, Buddha's Eyes, the Endless Knot, and more. The Mogoa Caves or Grottoes, also known as the Caves of the Thousand Buddhas, is a collection of more than 600 Buddhist cave temples in China, containing some of the most revered Buddhist art in the world. Whether you are a teacher or parent, coloring pages are a great tool for teaching children about Buddhism. And for adults, coloring Buddhist-inspired geometric patterns called mandalas is an excellent form of meditation and stress management. The Jataka Tales are a set of morality fables or folktales in Buddhism that are said to be stories of the Buddha's past lives. Each one teaches the importance of a paramita or perfection such as generosity, compassion, kindness, discernment, or courage. Lojong, or mind training, is an important teaching within Tibetan Buddhism on developing bodhicitta, the compassionate desire to forgo one's own liberation to work towards the liberation of all beings. The Eight Verses of Mind Training is one of the seminal texts on this teaching. The Dhammapada is one of the oldest and most revered Buddhist writings, full of sayings attributed directly to the Buddha. The Diamond Sutra is one of the most significant Mahayana Buddhist sutras, which includes both Zen and Tibetan Buddhism. Within it, the Buddha teaches about the illusoriness of all phenomena, including the spiritual ideals we may become attached to. The Heart Sutra is one of the most well-known Buddhist teachings. Brief and direct, the Heart Sutra outlines the path to prajna-paramita, or perfect wisdom, which might be understood as a direct knowledge of reality without mental modifications. The Kalama Sutra is one of the more well-known of the Buddha's discourses, taught within all Buddhist branches. It is sometimes called the 'charter of free inquiry' because it urges us not to accept religious teachings on faith alone, but instead to test them against our reason and practice. The story of the Elephant and the Blind Men is an ancient Indian tale used by the Buddha to illustrate the problems with attaching oneself to only one religious opinion or theological view. The Therigatha, or ´verses of the elder nuns´ is a collection of poems and songs written by the first Buddhist nuns, and is among the earliest religious writings by women in the world. Learn more about it in this article. Haiku is one of the most revered forms of Japanese poetry, and the most famous haiku poets were Zen trained. This article provides examples of Zen haiku covering the Buddhist themes of impermanence, stillness, and sudden awakening. 'What is the sound of one hand clapping?' Zen koans such as this one are a puzzle or seemingly paradoxical statement designed to help us breakthrough our usual ways of perceiving the world. Learn more about koans, including many more examples, in this article.